The Colonial team at the District Wharf has been busy. 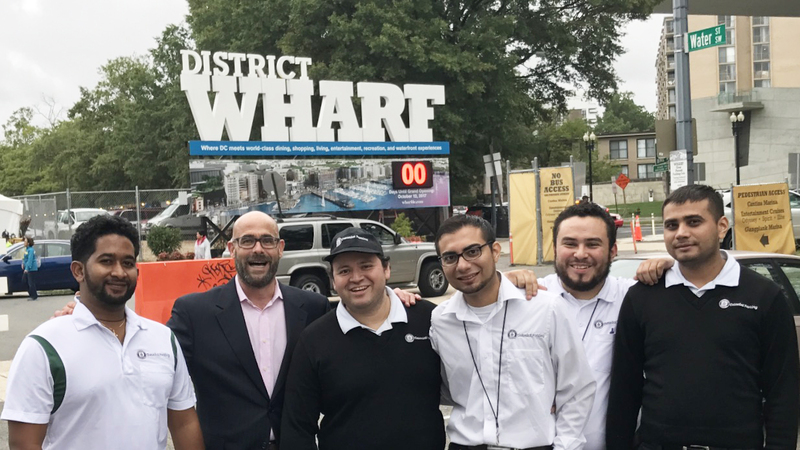 The official grand opening off the District Wharf, PN Hoffman’s new development, was this past Thursday, October 12th. To celebrate, there was a performance by the Foo Fighters at District Wharf’s new concert venue, The Anthem. That, alongside three million square feet of retail, restaurant, hotel and residential space meant a lot of cars to park. The excitement kept our team on their toes, but the day went smoothly. By the end Colonial Parking had parked over a thousand cars, with even more per day over the weekend. We are excited to be a part of this new development and this great addition to the District.